As a company with investors and pressures to grow, Etsy does not necessarily have the same goals as an individual seller. For example, if Etsy decides that they need to boost profits, they can raise their transaction fees at any time and drastically reduce your margins. If Etsy wants to, they can make arbitrary design changes without warning that may or may not reduce the visibility of your online shop. In fact, every change that they make can have a negative impact on your sales and the worst part is that it’s completely arbitrary and could happen at any time. You have absolutely no control over what they decide to do and your sales could disappear at a moments notice! The best way to future proof your business is by creating something that you do own and have full control over which is creating your own website. 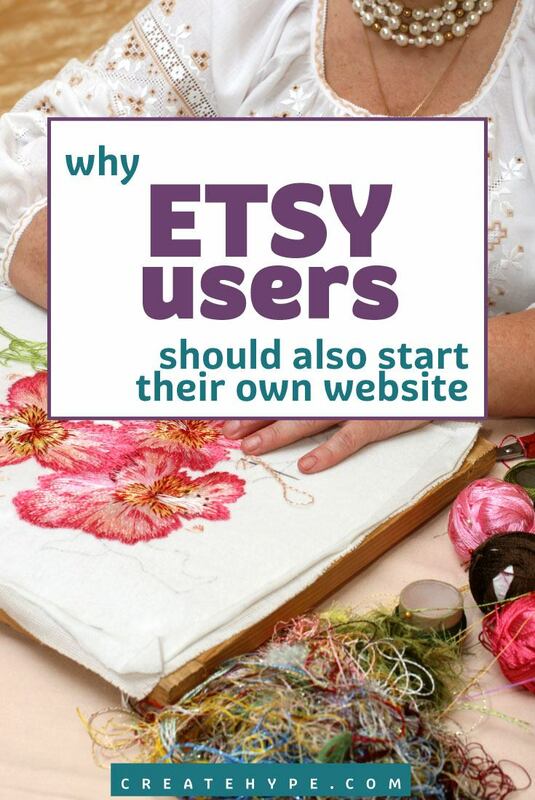 So does that mean you should drop Etsy right away and start your own online store? Absolutely not! If you are making a decent number of sales on Etsy already, then by all means you should keep listing your products there. However in the background, you should begin working on your own website. If creating your own shopping cart website sounds daunting and expensive at first, don’t be discouraged. In fact, you can start your own online store for as little as 5 bucks a month. The reason that it’s so cheap is because there are many open source shopping carts out on the market that are completely free. You simply have to find a webhost, install the shopping cart and you are ready to go. Once your online store is up and running, you can then begin the process of drawing your customers away from Etsy and having them shop at your store directly. The easiest way to lure customers away from Etsy to shop at your own online store is to offer incentives. First off, I would price the goods for your own shop at prices that are slightly below your Etsy store prices. Then, every time you ship an order to one of your Etsy customers, you should insert a business card or a coupon encouraging them to bypass your Etsy shop to buy from your store directly. Because it will be cheaper and more convenient to shop at your own online store, repeat customers will naturally gravitate away from Etsy and pay you directly. Not only does this save you from having to pay Etsy’s transaction fees but you will slowly begin amassing an army of loyal customers. Another good way to take advantage of Etsy’s marketplace is by including the URL of your online store within your product listings. While it’s strictly prohibited from linking directly to your site from Etsy, you should be able to insert your website address or your store name in a subtle manner to draw additional traffic to your shop. The sooner that you come to realize how important it is to own your website, the sooner that you can take action and begin. In case you have any doubts on whether this strategy is doable, I thought that I’d share with you my own personal ecommerce story. Once upon a time, I used to sell a wide selection of handkerchiefs for women on Ebay and I made a pretty good side income in doing so. But one day, Ebay decided to drastically increase their selling fees to about 12-15%. All of sudden, my profit margins became razor thin so I was pretty much forced to transition away from Ebay and start my own website. Taking advantage of cheap webhosting and free open source software, I started my online store Bumblebee Linens in 2007. Using the same methods described above along with some search engine optimization, I managed to grow the traffic to my online store and made a six figure profit within my first year of business! Beyond that first year, my store has been growing in the double and triple digits. And since then, I’ve expanded my product line from selling just handkerchiefs to selling linen napkins specifically catering to the wedding industry. By having my own website, I have a huge advantage over the other sellers on Ebay. For one thing, I have full control over the look and feel of my product pages. And the best part is that my products aren’t being compared to thousands of other similar looking product listings. Once I have a customer on my site, I also have the ability to upsell and cross sell additional products as well! Overall, my profits are higher because I don’t have to pay any transaction fees. While I kept up my online store and my Ebay shop for quite some time, eventually I closed my Ebay operation because the profit margins were so much better on my own website. Plus, it made sense to focus my energies where I had control of my own destiny. After all, no one could shut me down, switch layouts or raise prices because I owned my own shop. So if you are making a decent income from your Etsy shop, it’s probably a good time to think about diversifying your sales channels and starting your own website. As with any business, getting traffic to your website takes time. But the sooner you begin, the sooner you can take charge, own your business and stop relying on marketplaces like Etsy. This is a great post, thank you. Just this week I made the decision to take my business to the next level. So I purchased my own domain name and signed up with a web hosting service. I am making the steps to start building my business on my own site and slowly back away from Etsy. Thanks again! How successful have you been on Etsy?Do you feel you have gotten your moneys worth and than some, or very successful? I loved this article! Thank you! I JUST started my own business and website (www.MACKprints.com) and had often wondered about selling on Etsy. I was starting to think I should do both. I started with my own website because of the reasons you listed in your article! Thanks for the link with Tara Gentile’s interview – I will definitely check it out! Always looking for new information, thanks for providing some. I am most interested in generating sales online. I have opened my own website and have bean posting my artwork. I questioned whether or not to lower my prices as compared to what I am asking on Etsy, you have answered my question. It will benefit me to lower the prices slightly on my own website. Is there a third party store site that will allow me to post my items on Etsy and my site at the same time? Making two posts seems like a challenge. Not that I know of. I copy and paste mine so that it only takes a few moments. Sorry. YES! Indiemade will copy your Etsy shop listings and duplicate your shop. Not only that, IndieMade can link your site to your Etsy shop so that inventory is kept in synch when items sell… no need to drop Etsy entirely. 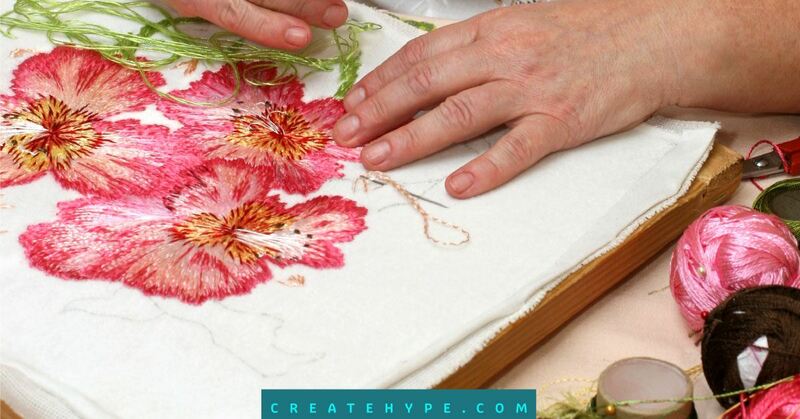 If you are a wordpress user, there are 2 different plug ins available that allow you to automatically draw your etsy shops content into your website. Unfortunately they both cost, $30-$40. I have a Business account with Weebly. Having almost 600 items to transfer from Etsy to My Own Website- took only a few minutes. Weebly allows you to import all active listings items from you Etsy Shop. Thanks so much for the post… great information. I love your site and it works so quickly and efficiently. My struggle has been trying to find good web hosting that is affordable and reliable. I don’t know what shopping cart software to use either. Between eBay and Etsy, I make just enough to break even and pay for hosting. I have been using godaddy’s quick shopping cart which is a little bit expensive but Google doesn’t like it because it is slow, and I’ve tried open source shopping carts that give me errors with google for duplicate meta content. I love making my dog clothes, I want to spend my time sewing and creating not working on a website. In terms of hosting, HostGator and Laughing Squid are great options. Laughing Squid is the one I use and it’s only $6 a month. In terms of shopping carts, Ecwid, BigCartel, and Shopify are some great options. Hey great article – it’s sooo important for anyone selling their products online to really have ownership of their turf. Etsy has its merits in terms of finding new customers, but quite possiblity that where the relationship could/should end – any repeat customers should cross over into ‘your fan’ territory rather than be an Etsy customer. You be able to connect with them on a deeper level and really grow that relationship. Depending on your business you can use something like bigcartel for an online store, or even if you just want to direct customers to your blog and offer just a few products to your readers you can use selz.com to add buy now buttons and widgets to your blog. I have been a seller on Etsy since the beginning and for the last 2 years I have seen the implementation of a dictatorship like system, the coming of Chinese resellers with mass produced junk, muzzling of complaining sellers by repressive measures like banning from the forum and shops arbitrarily taken down. Favoritism is rampant as well and if your are not part of the “privileged cast of sellers” you will suddenly and helplessly see your livelihood and years of hard work go down the drain with 60% or more of your monthly income disappear. Etsy manipulates your store visibility and control what you sell to the dollar. YES, THEY CAN AND THEY DO!!! The new search engine is an enigma. The admin’s favorite sellers are mysteriously and ALWAYS more relevant than the others in the search results, establishing an obvious dominance and by the same token enjoy the advantage of a free promoting tool while most sellers become invisible, no matter the “relevancy”, quality and number of items in their stores. A bias search engine with an agenda? These same privileged/favorite sellers can also infringe copyright laws with impunity and Etsy turns its head the other way. Customer service/support is inexistent and limited to email but if and when you are lucky enough to be granted an answer to your inquiry, it is a condescending and/or mean one. Recently Etsy has removed the dual feedback system and implemented a one way and arbitrary star review, leaving sellers at the mercy of dishonest buyers. The last five months Etsy has multiplied its testings on thousands of unsuspecting stores and many sellers have seen their income slashed to nothing while the “privileged cast”, under the Etsy protectorate, is enjoying an exponential multiplication of their sales. For the past 2 years and particularly for the past months Etsy has taken away the livelihood of many, ruined families and destroyed lives without even a flutter of hesitation. Etsy has become a heartless entity devoid of compassion and moral ethics. It has fallen to the level of the big corporations where bribery, corruption and repression are prevalent. Wouldn’t it be time for a class action lawsuit? Yes, the recent changes Etsy has made have not helped sellers at all. However, I’m still holding my breath to see how Etsy Wholesale turns out. I’m in beta testing of it right now and unlike Etsy, it’s juried. Here’s hoping. Well, I think we now can see how the wholesale is workig out. It’s obviously allowed on Etsy and also Sellers are now allowed to use outside Manufacturers! It’s obviously Hurting a lot of Sellers,who can not compete with these prices. Sellers have expressed many Complaints. Many Complaints in the forums-But, Now!Should they bring up this discussion in the forums-and mention Certain Countries who Wholesale -They are Muted from the Forums? Yes, Muted!!!. I was one of them, and I didn’t even mention a specific country. If they mention it more than once they loose forum privlidges all together. Right now, we are waiting on the New Page Look where Etsy is testing to take away all Our Lovely Banners, and Shop announcements. Wow! My Shop looked like a Newspaper Classified Ad wih no Personal Touch to it at all. Thankfully after 2 weeks My Banner showed up and someone else got to be in the Test. It’s Still in the Test Mode for several months, and we have no Say at all. I went into my Shop one day to list a new item, and BINGO! my Shop Banner and announcement were gone. No Warnning at all. It;s like—–Take it or leave it!!! Kitty, you totally nailed it! I’m also trying to figure out what to do! The changes to my shop over the past two years and especially past few months have been DRAMATIC…like, do they expect me not to notice?? I can’t just hope it gets better anymore and continue with debt. I have to move onto another selling platform. I’m still so upset with them. I thank you for this article. I just had lunch with my husband (business attorney) and told him my future plans of opening my own shop website which he very much supports. I’ve saved this article for him to read because he told me almost the exact same things as you are advising….almost word for word! I understand feeling bitter about etsy and the feeling of ‘lack of control’, believe me. However, because so many people’s livelihoods are wrapped up into etsy I would truly hate to see that site fail. But the smart sellers are the one’s who will make their way to their own websites…..it’s truly the smartest way to conduct business, IMHO. But to each their own, I understand some who aren’t savvy with a computer feeling daunted by it or thinking it would take too much time. Whenever I feel that way I remember how long it took me to get my etsy shop up and running smoothly. As others have said, it’s not too hard to find the help online to open up your own website……that’s my goal for the new year. Best of luck to everyone who makes that leap!! Don’t forget that you can always have an Etsy shop AND your own website. Just don’t send people on your website to your Etsy shop or they may get lost in the world of Etsy. Yes, that’s my plan, to have both. And if they purchase on MY website they’ll get a better price. With lower price! 🙂 then people will looking your own site if they really love your work! Best of Luck to you too. I opened up My Own Website-and Own Domain 6weeks ago. At the beginning I struggled to figure things out. Sometimes Full Days. I never gave up, because having your own Website is a must. My Etsy Shop will stay till my website starts getting more sales. what ecommerce platform are you using for your handkerechief website? I agree completely about Etsy! I have watched while my sales become nearly extinct, while others seem to soar. I am tired of being upset about it and I am going to follow your advice today! I cannot wait for the new venture. something back and help othes like you aided me. I have to say that at http://paper-anniversary.com we’ve done quite a bit better from our own site than with Etsy. You really want to avoid letting other people control crucial parts of your business! Hi, the whole thing is going sound here and ofcourse every one is sharing information, that’s in fact excellent, keep up writing. I was on Etsy for a while with not much luck. I felt like all I was doing was liking other peoples items so that I could get out there. If you start your own website like I did 4 months ago you control what’s being done. There are so many reasons to have your own website. You can send out beautiful emails through Mail Chimp, your can advertise on FB, Google Adwords let’s you get your stuff to show up in google feed. There are a ton of reasons to go on your own. I won’t lie it’s a ton of work though. Etsy is a ton of work also but they take care of alot of things that you don’t think about. You have to do your homework and respond to people like me who are knee deep in the process and having a lot of fun doing it. I happen to sell a very Unique one of a kind item because of that I am constantly updating my website. If you have any questions feel free to ask. Hope I help you out. Switching from Etsy to shopify was one of the best decisions I’ve made. My new site at The Anniversary Co is doing about 4 times as much business as I was ever doing on Etsy. It’s more work, but in the end it pays off. I really hope I am not gate-crashing a creative forum here, but I stumbled across you when trying to conduct some research for a potential business I am looking into. Essentially, I realised when looking for certain services and products in my local area that a lot of people clearly struggled with SEO or were paying ridiculous money into advertising their products. I have discovered some absolute gems and thought that I could set up a marketplace like Etsy. However, one major concern is people doing the very thing you suggest – trying to cipher business away to their own website, etc. I therefore wanted to find out people’s thoughts, if possible. Personally, I would be going out of my way to make the business work for both customers who struggle to find great services and products (I would actually seek out reputable services but then set them up on the site to start with) and see how they are rated by others if they have no recommendations themselves (like I didn’t). the service/product providers themselves would have been paying an extortionate amount for other forms of advertising (which from what I have read elsewhere wouldn’t work) whilst I would be offering a no-sale, no-commission instead. In that instance, whilst the world is a hard place and business owners have to protect their own interests, surely you would agree that it is not really fair to attempt to circumvent it? I appreciate that if they do a good service they will probably get word of mouth referrals elsewhere. However, it is the initial buying that I would not wish for suppliers to get around. •	What benefits did you originally see to advertising on Etsy? •	What benefits are there still currently? What disadvantages are there to advertising on Etsy? •	If someone contacts you directly, do try to avoid fees by transacting outside Etsy (or at least agree if someone suggests it to you)? If not, what prevents you from doing so? i.e. is it fear of getting caught or respect for the fact that without the site you would not have the particular sale? •	Do your site stats suggest that your direct traffic shot up as a result of advertising on Etsy, or at least increased as a result of the publicity? i.e. were people going on there and then emailing to see if they could get a discount if they booked directly? •	What advice would you give to someone in terms of keeping everyone happy? I don’t want to screw businesses, but equally, I think that what I am doing will help give exposure to businesses for a small commission fee which is way less than they may currently have to pay for other forms of advertising or SEO efforts (the former of which I have read on different forums makes them only break even). I LOVE the sector I want to operate in and would love it to be a full-time job so that I can work from home when I have kids. Love this article! Thank you! I too recently had a horrid experience with Etsy.com and am apparently BANNED for life! I sell vintage and antique furnishings upcycled furniture and provide unique custom professional upholstery. My Brielity shop on Etsy.com was unfairly closed due to small but recitified shipping issues of products. My business Brielity and I personally were left without recourse and ZERO incoming revenue. Etsy.com offered no recourse and wouldn’t even allow me to share my views or present myself fairly. Trying to turn a negative into a positive I started a blog for others like myself treated unfairly by Etsy.com and confused on what to do next once you have been closed down. There are some definite perks and pros to having an Etsy.com shop and I will never dispute that – the biggest being traffic. I know other online shop platforms are making some headway in my opinion Etsy.com is still the leader and the #1 “handmade”/”artisan” platform out by buyers. Etsy.com is no doubt a great place to start your online business keyword being “start”. It offers a lot of traffic exposure and sales. The most important lesson is to continue to work to grow and become profitable in other ways and start your own website too. Probably getting “closed down” by Etsy.com was ultimately the best thing for my business. I am really excited about my blog http://www.forgetsy.com and we hope to help other businesses grow prosper and succeed without relying on Etsy.com solely for their income. I hope this helps! Please check out and share your stories with us on http://www.forgetsy.com! If someone were to link their website on Etsy, Etsy will threaten to cancel your account. They Do Not approve. I have been selling for 8 years and also, one can not put any medical claims down on bath and body care. They will threaten to suspend you for that also. If you get an external website, it must be kept seperate. Etsy pays to advertise for them and their sales, not yours. Great article and great information. Too many folks can get ‘pinched’ by just having their product on an online marketing venue. If you are selling a product, you need to have your own website as well. I use the Etsy plug-in on my website so whatever I list on Etsy automatically lists on my website. My customers on my website also check out through Etsy through the plugin so I feel like I am getting a lot more bang for my buck from Etsy. I’ve been meaning to open my own store “forever” but keep getting stuck in choosing which platform to go with. I’ve finally ruled out doing it on my own with woo commerce (I just don’t have time for all the extra work that that entails) and now I’m trying to decide between a few paid services. No-one seems to have all the features I want but a few of the pricier ones come close. I’m trying to decide between Big Commerce, Shopify and Supadupa. Supadupa is obviously the most affordable one; I’ve been in contact with them and they claim that they are working on adding several of the features that I am looking for, and if they do, I think I’ll go with them. Does anyone have experience with them? Obviously I am not an impartial observer because I work there, but I hope you’ll consider IndieMade. We’re focused on the independent creative and on keeping things simple. We like to think that we offer all the features that an indie needs, but none of the complicated stuff that you don’t, at a great price. I hope you’ll give it a look. This article is great and very inspiring as my three ships were shut dow two days ago. Axel, does indiemade bring in customers and attention the way etsy does? Karen — no, IndieMade doesn’t even try to bring in customers. It’s a website hosting platform, not a marketplace. So it’s quite a different thing… many IndieMade customers don’t even have stores, they use it for portfolios or blog or what have you. But it isn’t Etsy *or* IndieMade. It’s IndieMade for your site, so you stay in control, *plus* you can sell your wares wherever you want. Unlike Etsy IndieMade doesn’t take a percentage of sales so it doesn’t care how you sell your stuff. In fact it has Etsy integration; many of our customers have their IndieMade sites plus they sell on Etsy and elsewhere too. Thank you so much for this extra push! Another reason to start your own website: you will become more attractive to press. Having your own website simply means you’ll be taken more seriously. I write it all, because, I see limits for those who want to start their website but they can’t even measure effectivness of it. Why would you pay dozen $ per month if you want to just find out is website useful for you? I decided to start working on platform, that will help you make simple and good looking website in a few minutes, import or sync data from Etsy at minimal costs. However, I can’t moving on without find out if someone is interested in such a solution. If you like the idea you should visit pollytoo.com or follow @PollyTooCom to make the platform happen. Hi there anyone familiar with wix.com sites? I am just getting started and looking to build my website with them, but then link to an etsy page to get started. Depending on how my listings do on etsy I would be able to upgrade my own site to e-commerce. Great article!!!! 🙂 I love it! Everything is true here! This is what im doing now! 🙂 my own site!